The popular ten-part speaker series has a new home for 2019! 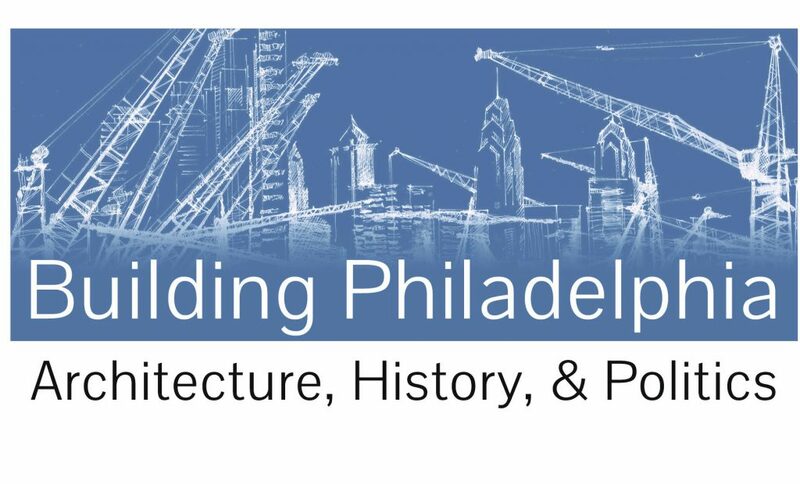 Join us as renowned local architects, urban planners, archaeologists, and historians explore the political, economic, and design trends that drove Philadelphia’s development. Topics include major urban planning projects such as the Benjamin Franklin Parkway and Society Hill, our world-class collection of architectural styles, and Philadelphia’s immigrant history. Discounted pricing for full series. In order to attend the full series, you will need to plan to attend all Monday AND Wednesday talks. Series Passes have SOLD OUT. Limited number of tickets to individual talks are available. See speaker schedule below for details. NOTE: Series Passes and Tickets are non-refundable but may be transferred to a third party. Please email cslama@preservationalliance.com with any questions. Schedule subject to change based on speaker availability. John Andrew Gallery, Former Executive Director of the Preservation Alliance for Greater Philadelphia, investigates William Penn’s plans for the grand city in his colony of Pennsylvania. Did you know that Pennsylvania was given to William Penn by the King of England to pay off a debt to his father? It remains the largest grant of land to an individual in history. Learn how Penn took his inheritance and created plans for a major city that would take over 200 years to match his vision. And learn how Philadelphia’s current-day form reflects his philosophical ideals and business plans. Richard Webster, PhD, and Professor Emeritus at West Chester University presents a survey of the classic architectural styles of early Philadelphia, including Georgian, Federal, and Greek Revival. Explore how these styles, typically all called “Colonial” by the layperson, differ from each other and how their influence can be found in classical Greece and Rome. Richard Webster, PhD, and Professor Emeritus at West Chester University explores the architectural styles of Philadelphia that were popular after the “colonial” era, but before the Victorian era. In this talk Webster presents the eclectic mix of styles, often intermixed in one building, that make up this fascinating period of Philadelphia’s architectural history. A must-see lecture for those interested in Philadelphia’s unique, older buildings. Rebecca Yamin, PhD, historical archaeologist, takes us on a trip down Alice’s rabbit hole – digging underneath parking lots, National Park sites, and demolished buildings, she uncovers Philadelphia hidden past through fragments and trash left by our predecessors. Recent sites covered during her talk include the President’s house in Independence Mall, Revolutionary camp sites in Valley Forge, and workers’ houses where the Pennsylvania Convention Center now stands. Jeffrey Cohen, PhD, senior lecturer in Architectural History at Bryn Mawr College, surveys the growth of Philadelphia and its architecture during the Victorian era. Illustrated with many of Philadelphia’s most impressive buildings, both extant and lost, this talk explores the expansion of the city, the development of its infrastructure, the increasing professionalization of its architects, and the various period styles now recognized as Victorian. Paula Spilner, PhD, Adjunct Professor in Architectural History at Drexel University, presents this fun look at Philadelphia’s earliest skyscrapers. Learn how historians define what a skyscraper is, what forces caused high-rise buildings to emerge in 19th century Philadelphia, and how their effect on Philadelphia’s skyline helped to set the stage for Philadelphia to have one the most impressive skylines in the world. David Brownlee, Professor of the History of Art at the University of Pennsylvania, takes us through the political, aesthetic, and social movements that dramatically reshaped Philadelphia in the early 20th Century. He tracks the long-fought battle to build the Benjamin Franklin Parkway, re-organizing the old industrial city around a new axis of culture and commerce, and he tells Philadelphia’s chapter of the story of “Art Deco,” the colorful, invented modern style that arose as an alternative to functionalism in the 1920s and 30s. William Whitaker, Curator at the University of Pennsylvania’s Architectural Archives, presents the remaining examples of modernist architecture scattered around the Greater Philadelphia area. These buildings are only now beginning to be appreciated for their architectural achievements just as many of them have been or are being demolished. Come explore the buildings we grew up with before they are gone forever. Join Caroline Golab, PhD, Associate Dean at Thomas Jefferson University, for this insightful talk about Philadelphia’s various populations and how, why, and when they made their way to Philadelphia – and what they did once they arrived here. From early Swedish and German settlers to Italian and Irish immigrants, to modern-day influxes from Mexico and South-East Asia, this lecture explores who Philadelphia is and how the various waves of immigration have and continue to shape its citizenry. Scott Gabriel Knowles, PhD, Professor of History at Drexel University, discusses how in the 20th century Philadelphia faced the same challenges as most post-industrial cities in the world, namely loss of manufacturing jobs, residents, and taxes. Knowles will explore how Philadelphia – and the first leader of its City Planning Commission, Ed Bacon – faced these challenges, in what ways the city has succeeded, where we still need to make progress, and what the future holds for our fair city. Current and future public and private development projects will round out our lecture series. By attending this series and passing an online exam, you can receive a Certificate in Philadelphia Architecture and Urban History. Attend an additional 3-5 FREE training sessions to be certified as a volunteer guide for the Preservation Alliance for Greater Philadelphia. Contact Caroline Slama for more information.